For the third day it had to be a quick one as I was least prepared for unexpected events that can happen. 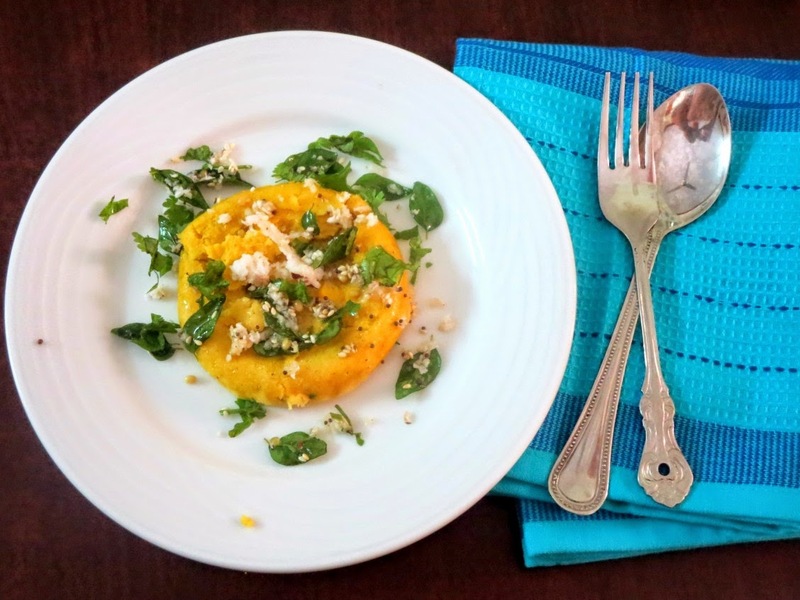 The first two versions were prepared last week and I couldn't prepare the third one as everybody felt one Dhokla for a day was more than enough, however much we liked it. With the week becoming very hectic, I thought I would have time to make it just before the day and I was wrong. I missed my regular posting time and made it late last night and that too in Microwave for a quicker version. 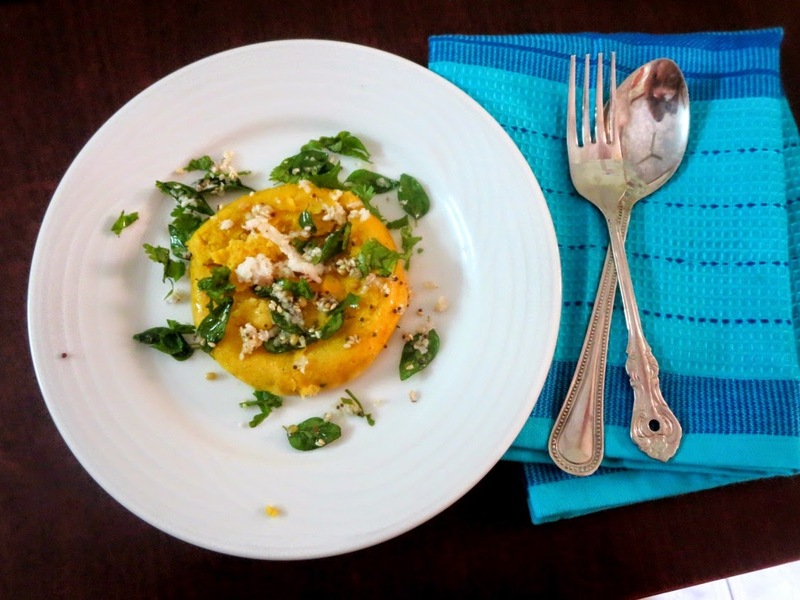 The Dhokla tasted great so I would be making it again in the regular method as well. Since it was going to be a quick version, I steamed it in small bowls to be individual servings. You can follow the regular method of steaming it in a bigger plate and slicing it down. The fresh sweet corn nibbles add to the taste and this surely is a great snack for the kids. Boil the Sweet corn kernels with water in MW for 5 mins. Drain and keep it aside. Take the flour, sweet corn, green chilies ginger paste, salt, and mix with buttermilk. Just before steaming, add in either baking soda or eno. Transfer to a greased mw bowl and MW for 1 and half min in intervals of 30 secs.